Wedding favours are small token gifts that are given to the wedding guests by the happy couple. Planning and deciding what type of wedding favours you want for your wedding may be harder than you think, you may be asking questions such as what are suitable gifts for wedding favours or where do you buy them from? Planning your wedding is a hard enough task as it is so for this reason below you will find some of the best resources both online and offline to help you find the best wedding favour gifts for your wedding guests. As a bride planning the wedding of your dreams you probably will already have skimmed through hundreds of wedding and bridal magazines looking at wedding dresses and wedding cake designs, what you may not have realised is that they are also a great resource of ideas when it comes to wedding favours. In fact if you were to take a look in one of the many magazines that you already have you will find sections that are dedicated to wedding favour gift ideas as well as instructions on creating your own. Wedding magazines may not have hundreds of ideas when it comes to wedding favours but they will certainly have enough to give you some ideas so that you can continue your search elsewhere. The internet is full of resources for just about anything you can ever imagine and wedding favour gift ideas are no exception to this. 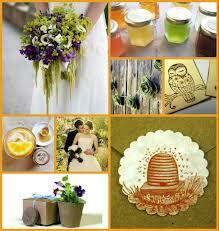 Pinterest is a fantastic place to get ideas for your wedding and not just wedding favours either. People post pictures of a wide variety of subjects on pinterest if you do a search for wedding favours you will find thousands of pictures and links of fantastic ideas for gifts that you can give to your guests. You can also find some fantastic wedding invitation designs, wedding cake designs as well as wedding dress images on pinterest as well if you need them. Nowadays there probably isn’t any subject that has not been blogged about, weddings certainly have, a simple Google search of the term “wedding blog” will give you thousands of results. All of these blogs will provide you plenty of informative resources when it comes to weddings including wedding favours. There are wedding blogs that cover wedding planning, wedding invitations, wedding cakes, wedding shoes and just about everything you else you can think of and probably even more that you wouldn’t have thought of. Another great and easily accessible resource of information on wedding favours can be your friends and family members. This is particularly true if you have friends or other members of your family that have been married themselves they may be able to offer you advice on the perfect wedding favours to use at your wedding. So there you have it five great resources to help you find the perfect wedding favours for your guests to enjoy when they attend your wedding.